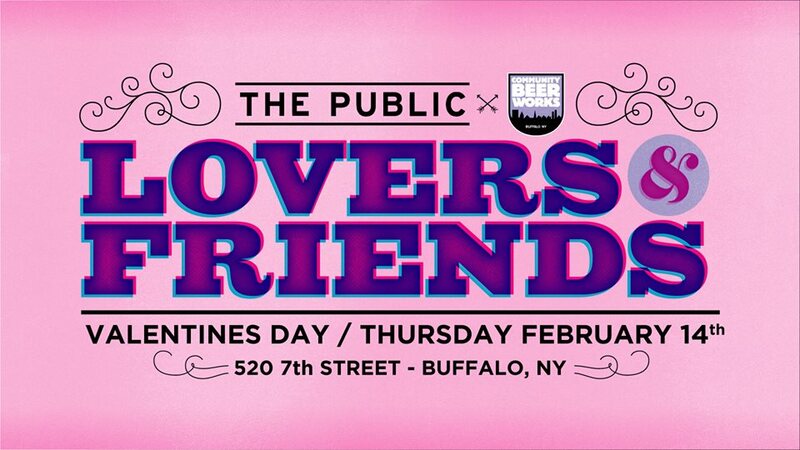 [VALENTINE’S DAY] So we’ve got a little thing going with Community Beer Works. It’s not love, exactly—or at least it’s not candlelight-dinner-for-two-on-Valentine’s-Day love. Whatever you want to call it, we do think a lot about that little community-minded microbrewery, and thinking about them makes us feel we-don’t-know-what. We want to be with them on that special day, understand, but we hope to have company. So, you know, it’s now awkward, or overdone, or something it’s not. So we’re throwing a Valentine’s Day party called Lovers & Friends at CBW on Thursday, February 14—actual Valentine’s Day—with music by DJ Crespo, flowers and sweets, a photo booth (tentatively titled “Public Displays of Affection”), and other entertainments. There will be drink and food specials, and other fun actvities for folks who want to get out for the holiday but don’t necessarily want to make a federal case of it. And, if you feel that way about us—no pressure, of course, we love you no matter what—we’ll be raising a little money to keep The Public going, too. Join us, won’t you?